Fashion in Film is proud to present Hemline: the Moving Screen, a newly commissioned artwork by the award-winning artist collective Jason Bruges Studio. The captivating installation on show at Somerset House is our joint homage to the pioneering innovations of the belle époquedancer Loïe Fuller whose hugely influential costume and spectacle sorcery encapsulates some of the spirit behind the festival’s third edition. 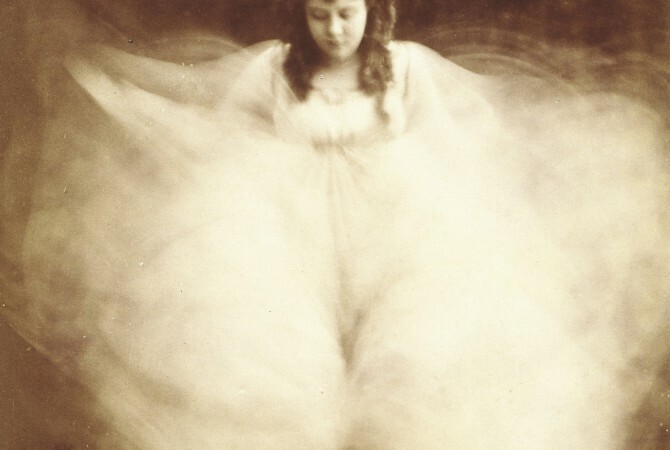 Fuller became an iconic figure in late-19th century Europe and America for her breathtaking performances in which she would manipulate large volumes of fabric and produce dazzling visual effects using coloured lights, magic lantern slides and other optical devices, transforming herself into various ethereal guises such as butterflies, orchids, fairies or fire. 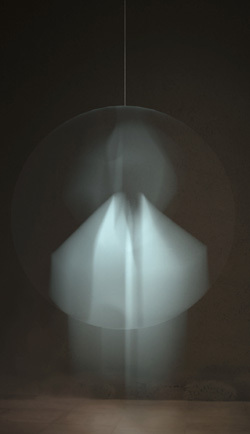 Jason Bruges Studio have created a light sculpture that uses a three-dimensional volume as a ‘moving screen’ to approximate the swirling movements of fabric in a serpentine dance. The perpetual state of change inherent in the projected moving image is doubled by that of the equally mercurial ‘screen’. The sculpture is responsive and transforms as a result of the number and proximity of visitors in the exhibition space. Hemline: the Moving Screen embraces Fuller’s work as a pre-cinematic showcase of two fundamental properties of film, movement and light. Like Fuller’s complex visual effects, Hemline goes beyond and extends the traditional forms of cinema.